Hansen’s rich voice, intricate melodies, and softly strummed guitar create a warmth in his music; believers in his spiritual ideas will no doubt take additional feelings of comfort from the lyrics Hansen presents with serene confidence. 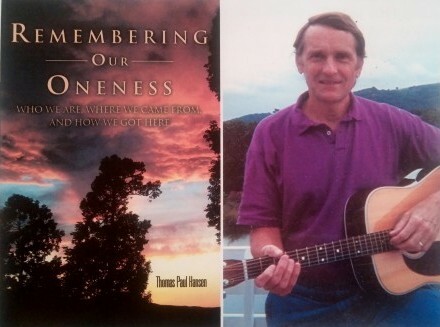 Each song is comprised of quotes from Hansen’s latest nonfiction work, Remembering Our Oneness, a continuation of his 1995 book Trying to Remember. “I contend that consciousness is the cause of the physical,” he says about his work, comparing it to the ideas of certain masters of quantum physics who use this spiritual idea to justify the existence of the universe. Music is certainly a powerful emotional force and can serve as a gateway for people who may be doubtful of such conceptual spiritual ideas. “My hope is that the music/lyrics combination will reach some people at both an intellectual level and at an inner-knowing-feeling level,” he says on his decision to translate the book’s message into a collection of songs. Songwriting and performing is a hobby of Hansen’s; “I never get tired of it,” he says proudly. Each song on the album has its own unique message and explains a different part of Hansen’s philosophy, although a little overlap is inevitable. “Death is Not Natural” opens dramatically with the sounds of an organ and explains how human perceptions of death tie earthly beings to reality, as well as to concepts like guilt and sin. Hansen is of the mind that “suffering is not God’s will, and neither is death,” creating the ideas that death is merely an illusion and the human spirit perpetuates forever in the fabric of the universe. “Salvation” deals with Hansen’s theory that spiritual salvation doesn’t rely on religion or a higher power. It again relies on the idea that the physical world is an illusion and seems to imply that the illusion can be broken if all humans understand that salvation can be achieved through the power of each individual’s consciousness. “Forgiveness” outlines the importance of, of course, forgiving others and oneself while also placing emphasis on faith in the true self. The essence of this track speaks to a sort of relief that can arise when one lets go of life’s negativity and how spiritual health arises from understanding of humanity. Hansen’s philosophies are strikingly similar to the general principles of Buddhism. Traditional Buddhists follow the Eightfold Path, a set of guidelines that help one grow spiritually when practiced, and the Four Noble Truths, a set of standards that one must understand as truths in order to achieve enlightenment. Enlightenment in this sense refers to a state of bliss that occurs after one accepts the impermanence of all physical objects, the world as a realm of constant suffering, and the existence of a separate, individual soul or consciousness. All of these concepts speak to Hansen’s thoughts on self-reliance and harmony between beings and the universe; both Buddhists’ and Hansen’s perspectives seem to acknowledge the existence of formal religion and an all-powerful God, but neither counts itself as relating to such religion in any way. Charlottesville has an extensive network of Buddhist organizations and an intense atmosphere of creative, liberal free-thinkers, but Hansen says the community has never really been a part of his life, nor has it affected his ideas and writings. “I haven’t been a practicing student of Buddhist philosophies, but I have read several books over the years,” he says modestly. 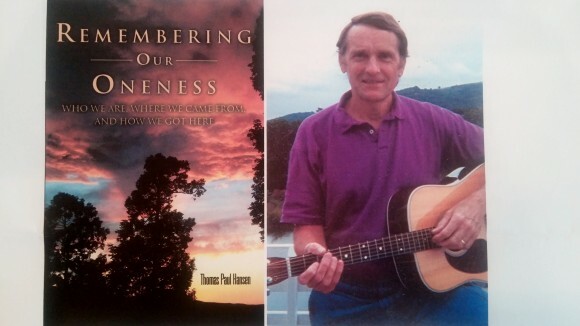 The author’s past is teeming with life experiences that must have inevitably led him to this point: the Peace Corps sent him to Liberia as a teacher in 1964, his international know-how enabled him to create the Peace Exchange Foundation during the Cold War to facilitate cooperation on a local level, he’s worked as an individual in several government-oriented international environmental and developmental organizations, and somehow still found time to conduct research on math education and the impact of community college systems on the areas they serve. The philanthropic, selfless nature of all this activism must have naturally cultivated a sense of self-worth and freedom from worldly prospects in Hansen, leading him to the spiritual and intellectual revolutions that caused the penning of such expansive and progressive works. Candace Carter is an associate editor with Gadfly Online and really loves her job. She’s a rising second year at the University of Virginia studying History and German. Hobbies include baking, watching Bob’s Burgers, and hiding under her covers. A book she recommends is Billiards at Half-Past Nine by Heinrich Böll. This entry was posted in Archive, Interviews, Live Events, Recently Added, Talk. Bookmark the permalink.